shirley-bee's stamping stuff: Seize The Birthday - Red, White and You! This card is so fun! Love the wine rings and the way you incorporated the birthday sentiment! Another winner Shirley! Just fabulous...love your wonderful card. Love that stamp set! So cool! Great card! Love the wine sloshing! What a fun birthday card! I love how the wine is splashing and that you've used those rings too, for the additional impact! Great card!! 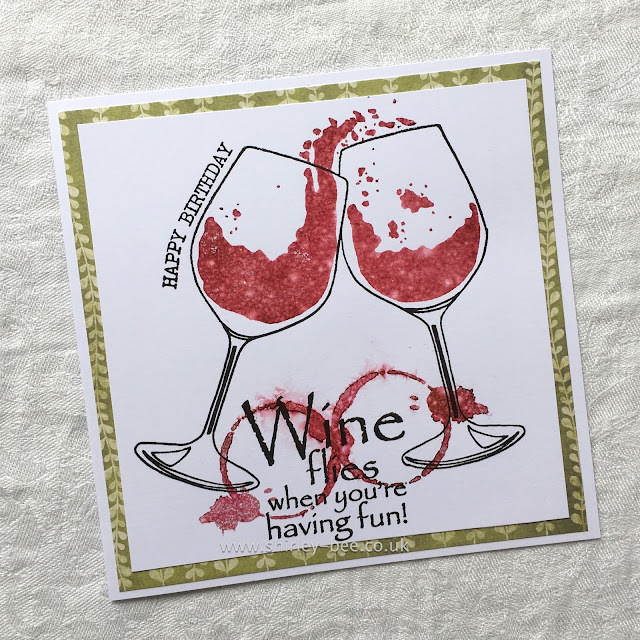 What a fun and cheerful birthday card!!! And a perfect sentiment!!! So true about how time flies, when you are having fun, crafting or just being with someone. Love your design, so much fun. Super cute card, Shirley! Love those big wine glasses and the wine rings! I think I need to add this stamp set to my stash! Love how you've done this, especially the wine splashes and rings. So happy to be joining you for the next few challenges!